It seems as though we hear about school lockdowns on a daily basis. Is Your Current System Reliable? ID card systems can certainly help keep your school facilities more secure by identifying who is entering the building, but is that enough? 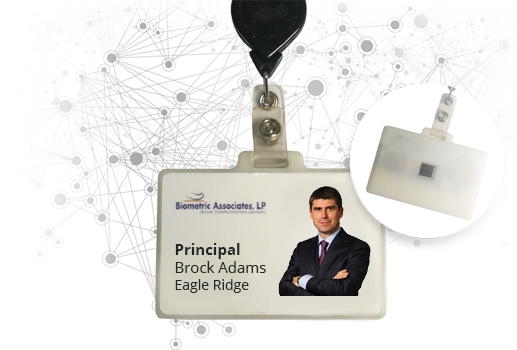 The recent trend amongst school administrators is to integrate student IDs with access control systems. This is part of a larger effort to increase overall education security. The threat of violence and criminal activity is an unfortunate reality, one that has to be taken very seriously. All too often, people are able to come and go as they please, whether they’re students or potentially dangerous intruders. Today’s Challenge. Schools need to re-evaluate their current security systems and explore more effective solutions to ensure the safety of their students. In today’s current educational climate, one of the primary responsibilities of every school district is to ensure a safe and secure environment for students, staff, and visitors. A secure access control system with an integrated communication networks that can decrease the response time of designated authorities can solve this problem. The latest evolution in smart badge technology. Combines biometric fingerprint authentication with RFID & Bluetooth technology that allows access to the assigned user only. Eliminates need to swipe the card in an external reader, shifting verification to the biometric match-on device. Badge can be used with existing technology or with a state-of-the-art system with enhanced capabilities. Makes for a non-violent, cost effective security solution that can be converted quickly & easily. Provides the ability to lock-down a school by designated personnel through a single touch. Our technology is a unique open platform control system, allowing for customization to fit the needs of a particular institution. The MBX-HC* can be adapted to any Bluetooth or RFID communication system in use today. Ability to assign different access levels of privileges for students, faculty, and staff. Our technology is a unique open platform control system, allowing for customization to fit the needs of a particular institution. The MBX-K12* can be adapted to any Bluetooth or RFID communication system in use today. Ability to assign different access levels of privileges for students, faculty, and staff. Badge can be configured to communicate a threat to either an administrator, security, or local police depending on the threat level. Our Bluetooth technology provides location of alarm status and potential threat to emergency personnel. The MBX-K12* can allow a message to be sent to signal a general alarm through phones and can be tied to existing messaging systems. Our biometric technology utilizes a fully encrypted 10 point fingerprint template as an identifier that cannot be reverse engineered. Fingerprint identification is verified in less than a second with and LED status indicator. Connects via Bluetooth/NFC using secured encrypted communication protocols. Badge is unique to the assigned user and only authorized individual can activate the card through fingerprint identification. No personal data stored on the badge or in an external database.